The January Big Garden Birdwatch on the Moor will be on Saturday 28th January from 11 to noon. 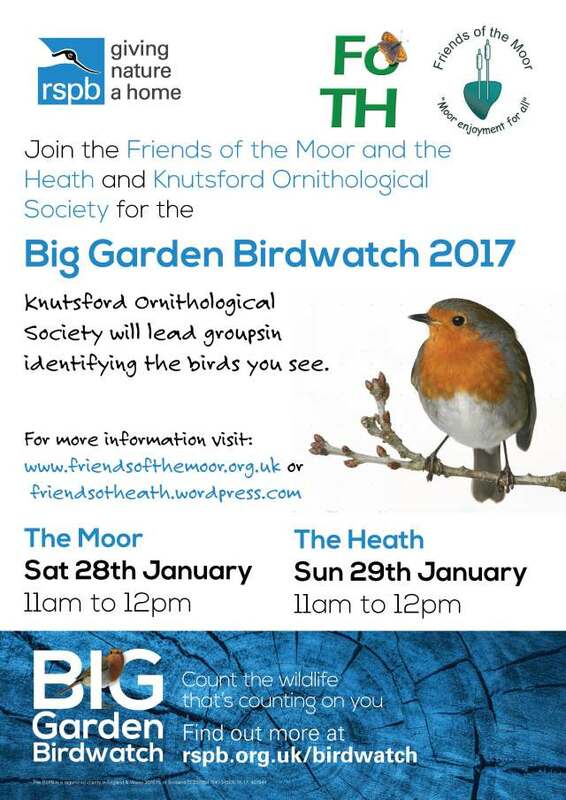 Members from the Knutsford Ornithological Society will be on hand to offer expert advice and guidance. Our friends over on the Heath, will also be doing the same on Sunday 29th January, from 11 to noon, so you have a real chance to spot some amazing wildlife across Knutsford this January. Do pop these dates in your diary, and find out a little more about the bird life that frequents Knutsford with Friends of the Moor and Friends of the Heath.